If you and your partner have been trying to conceive for some time now, chances are that either one of you have fertility problems. However, going to a doctor to go check your swimmers can often be a painfully embarrassing process. Now, with YO Sperm Tester, you can test your little guys in the privacy of your own home. 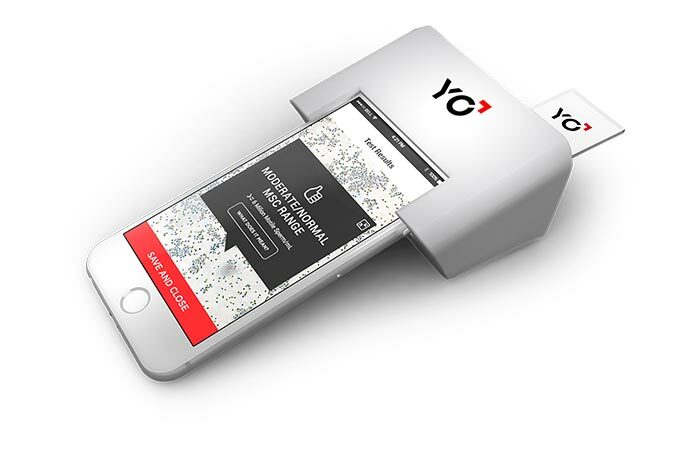 Simple to use and efficient, the YO only requires your smartphone to function. It also allows you to view your swimmers in real time. Essentially, the YO is a detachable microscope clip that utilizes your smartphone’s camera and light. The YO is basically a detachable clip that works by using your smartphone’s camera and light. It does this by enhancing your smartphone’s camera via a mini microscope that is built into the YO device. It is also exceptionally accurate and FDA approved. Its accuracy is determined by the fact that it only tests mobile sperm that are moving. It also gives you a comprehensive report automatically. In addition to this, you can also view and save a video of your sperm. Besides, it saves you a lot of embarrassment since you can do it all in the comfort of your own home. This test kit will be available from January 2017.